My kids love these energy bites from Super Healthy Kids. I’ve made them several times in the past year. They are really easy to prepare and can be customized to individual tastes. 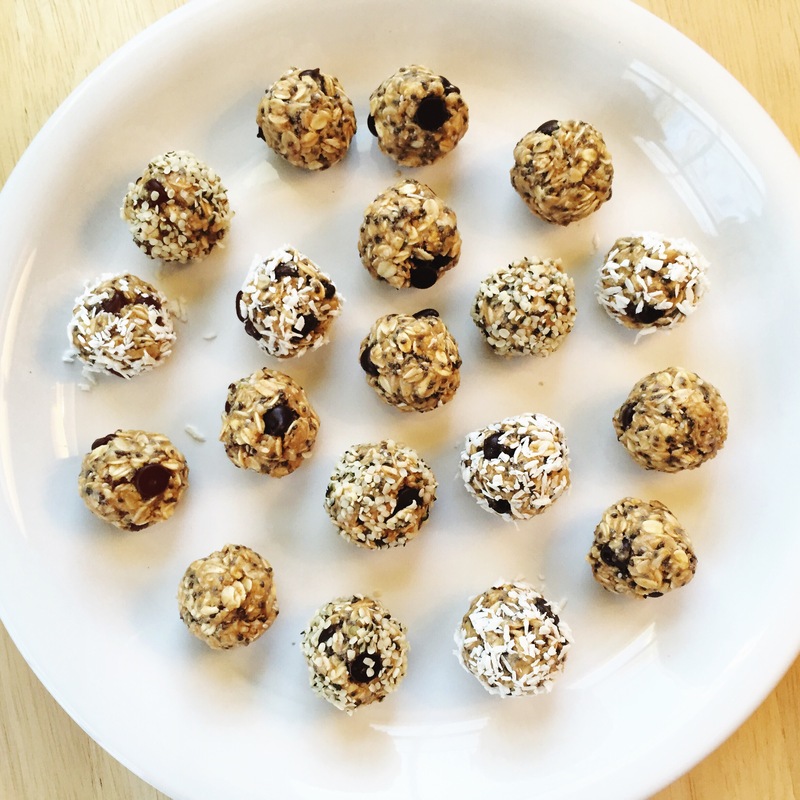 These energy bites have simple ingredients – oats, honey, peanut butter and a dash of vanilla. Chia seeds are also included but not necessary. From there you can add whatever additional ingredients you wish! 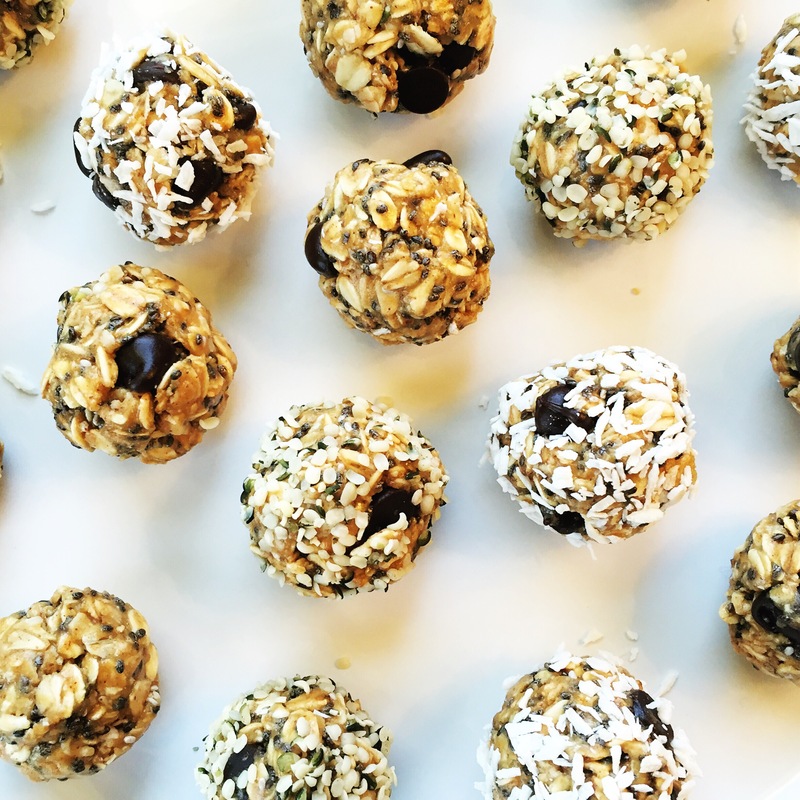 This time around I added a small handful of chocolate chips and then rolled some in shredded coconut and some in hemp hearts. With the chocolate chips I can pass these off to my kids as dessert. We also pack them as snacks when we’re out and about. Overall they’re a great, healthy, easily portable snack. I just made these. They are super yummy! I rolled 1/2 in cocoa and the other half in unsweetened cocoa. We are using only unrefined sweeteners so I was excited to find this recipe. I prefer to think of them as candy! Nice! I thought about rolling some in cocoa for a truffle-like appearance but wasn’t sure if the cocoa would be too bitter. Glad to hear it worked for you! I’ll give it a try next time.